As moms, we rarely grant ourselves the grace to take a break or do something for ourselves. That needs to change. 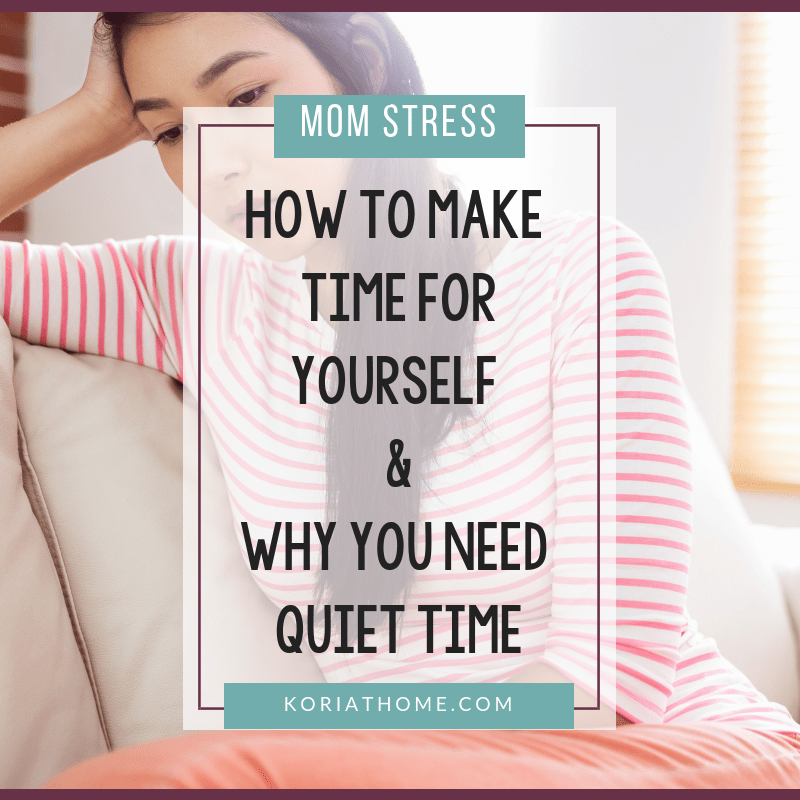 Here’s how to make time for yourself as a mom and why you need quiet time. 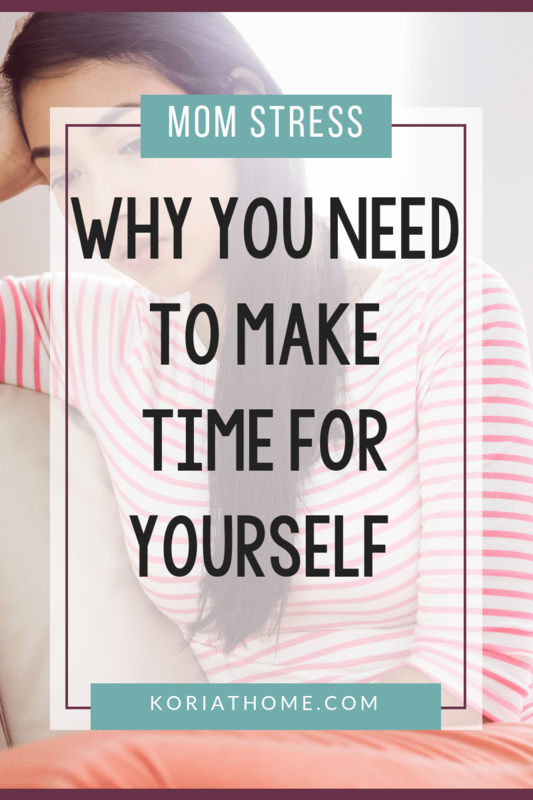 Why is that we, as moms, feel guilty about taking time for ourselves? We’re busier than ever in this day and age. We’re bombarded by beeps, messages, and advertisements 24/7. We live in an age of constantly being connected and constantly being interrupted. It’s a wonder we get anything done. Without a doubt these constant distractions are a big part of why we feel so stressed out all the time. With all the noise and flashing lights, it’s hard to hear yourself think sometimes. It’s time to fix that and today I’m going to show you how. Some of the most successful business people set aside time regularly to think, plan, and learn. Bill Gates takes an entire week twice a year to unplug and do nothing but read and think. Warren Buffet states that he’s spent about 80% of his career reading and thinking. Quite a few other successful CEOs schedule time to think and plan, and even allow employees to do the same. In short, carving out time for quiet contemplation isn’t a waste of time. It’s how you get ahead. As an added benefit and why I’m including it in this series about relaxation and reducing stress is that it gives you time to get away from it all. The quiet time will give you time to rest up and distress and that’s important. In fact, this rest is what gives your mind the time and ability to come up with the next great idea or solution. It’s what makes you a better partner, a better boss, a better co-worker, and a better business person. And a better mom. The first thing you need is a little mindset shift. Don’t think of taking time for quiet contemplation as a waste of time, or one more thing you have to squeeze into your already overflowing calendar. Instead, think of it as the solution to the stress and overwhelm and a way to cut back on the hours you spend working. Put it in your calendar, schedule it, in fact, go ahead and make it a high priority. There’s no reason for you to toil away at busy work for 5 hours per day when you could spend one to come up with a better solution that would automate all that work for example. If you’re still skeptical, please give it a serious try. It works and it works well. Once you see what having quiet time to think and strategies will do for both your professional and your personal life, you’ll gladly find time for quiet contemplation on a regular basis. Don’t forget to notice how the stress and pressure starts to disappear or at least lessens when you do this. If it works for some of the most brilliant minds of our generation along with every spiritual leader across time, shouldn’t you give quiet time to think a serious try and make it part of your own life? Your mind and your body will thank you as you start to stress less and relax more. There is a long tradition of making and drinking tea across most of the globe. It’s a beloved beverage and often accompanied by a ritual or routine. Combined they work as a relaxing break that will reduce stress and gives you time to breath, think, and even meditate if you so choose. It starts with boiling the water and setting out your favorite cup. Pick your tea – more on that in a bit – and set to making yourself a nice cup of tea. Carry it to a comfortable spot, sit down, and enjoy the warmth of the cup in your hand. Inhale the fragrant aroma, letting all the tension and anxiety leave your body. Live in the moment and take that first sip. Take your time as you empty your cup, sip by sip, melting the stress away. Of course having another beverage of choice is also an option. Brew yourself a good cup of coffee, make a cappuccino, or indulge in a cup of real hot chocolate topped with whipped cream or marshmallows. With a little trial and error you’ll find the right drink for your very own stress busting ritual. One word of warning; when things get busy and we really start to stress out, it’s easy to let this simple little ritual slip by. Yet, that’s the time when you need it the most. Make it a priority. Not only will it make you feel better but you’ll come back refreshed and able to solve problems easier and become more productive because of your little tea break. In the end, taking a little time for yourself – even if it’s just to make and enjoy a cup of tea – will make you better at what you do. Keep everything for your tea ritual close by. Have a nice tea cup and some tea in your desk at work, in the cupboard at home, and take it with you when you travel. Don’t ever be caught without everything you need to make this happen. Reducing stress by focusing on relaxation and other stress reducing techniques including the ones we’ve been talking about is great, but what’s even better is finding and cutting out some of the stuff that stresses you out in the first place. What’s Really Stressing You Out? Start by taking some time and figuring out what’s stressing you out. You are going to have to dig deep. It may seem that your kids stress you out in the morning, but when you really think about it you realize that it’s a lack of an effective morning routine that’s actually causing the stress. Think about each and every thing until you get to the root of the problem. Then write it down. We’ll be using this list to work through and cut out as many stressors as possible going forward. In fact, make it a running list. As your life and your circumstances change, new things and people will pop up that stress you out. Add them to the list and review it regularly to see what you can do to get rid of or reduce the stress. What Can You Change or Cut Out Quickly? Look through your list and find the quick fixes. The morning routine issue is a great example. You can implement it right away and cut out or at least greatly reduce the stress it’s causing you. At other times, it may be time to let something go. If you’ve been working a side hustle to make some extra vacation money and it’s causing you more stress than it is worth it, quit. If you’re in business for yourself and you have that one client that’s causing more problems and stress than all the other’s combined, fire him and find someone else. This is all about quick fixes that cut your stress level right away. With that done, and a little bit of breathing room created, it’s time to tackle the big issues. Go through your list and see what you can start working on right way. Some examples of big issues that stress you out could be your job or working a full-time job while also going to grad school. Quitting your job isn’t likely an option, but you could start to get your resume in shape and start looking for employment that you’ll enjoy more. Or maybe you have a manager that you’re clashing heads with. Finding work at a different company is certainly an option, but you could also consider looking into moving to a different department or getting a promotion. 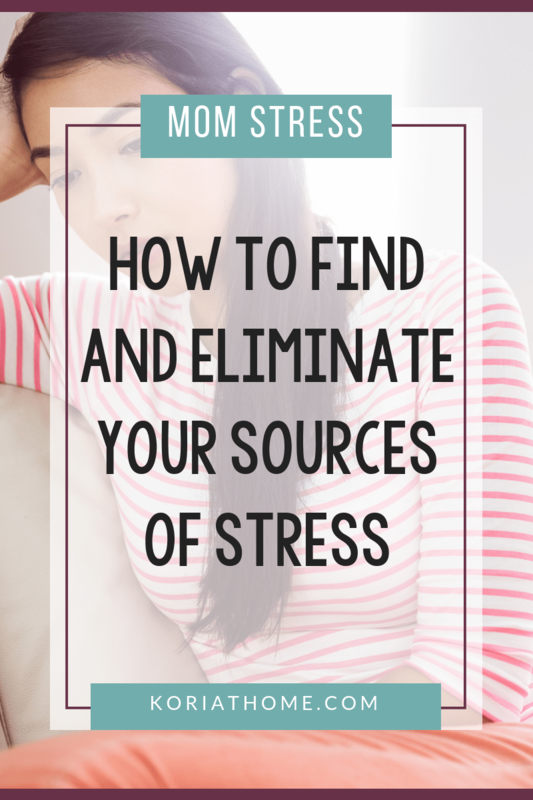 Keep working through the list and do what you can to get closer to cutting out those remaining stressors. 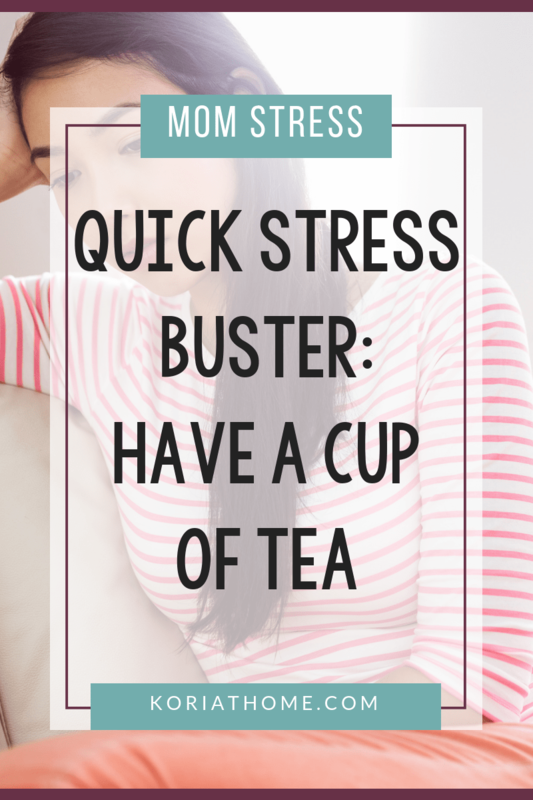 You’ll either love or hate this stress buster tip. The idea is to get in an intense workout to release tension and get those feel-good endorphins pumping through your body. Trust me, it works extremely well. Even if you’re cringing at the tough, I encourage you to give it a couple of tries. Once you see just how effective a good workout is at relieving stress, you’ll be motivated to do it more often. There’s a reason I suggest you hit the gym. It doesn’t matter if you use a home gym, the one at your apartment complex, or one of the many local gyms. You simply want to be able to get a short and intense workout in somewhere. If neither of those are an option, buy a couple of dumbbells, grab a milk crate and figure out a workout routine that you can do at home in a pinch. Whenever you feel particularly stressed, make sure you get a good workout in that day. You can head to the company gym on your lunch break or stop at your local one on the way home. After an intense workout and a shower you’ll feel like new person. By the time you get home, the stress will have melted away and you’re ready for a relaxed evening with your family and a good night sleep. It’s this combination of endorphins and getting more sleep that has the biggest effect when it comes to taking stress down a notch. I don’t have to tell you that everything seems a lot worse than it is when you are tired and haven’t slept well. After a good workout and particularly if you make it a regular habit, you’ll sleep better and deeper. This avoids the afternoon slump and of course the added stress. As an extra bonus, you’ll get more done throughout the day. Your productivity will increase with adequate rest. Exercise also does a good job at distracting you from your worries. When all your attention and concentration is focused on making it through the next set, you don’t have time to wallow in what’s stressing you out. As an added bonus, all that exercise will tone your body and make you look good. With that you’ll get a boost in confidence that also helps you get over much of what’s stressing you out. Sometimes it’s just about attitude. Give it a try for a few days and then turn those days into weeks and months. Exercising may never become your favorite thing to do, but that’s ok. It’s a tool you can use to reduce stress and feel better. That alone should be plenty of motivation to get it done. Of course the rest of your body and your overall health will benefit from it as well. Here’s a lesson I’ve learned the hard way and I don’t want you to have to do the same. Listen to your body. It will tell you when you need to slow down and when you need to go get some much deserved rest. Pushing past that point may be possible for a little while, but the longer you ignore these signals from your body, the louder it will scream at you to slow down and get some shuteye. 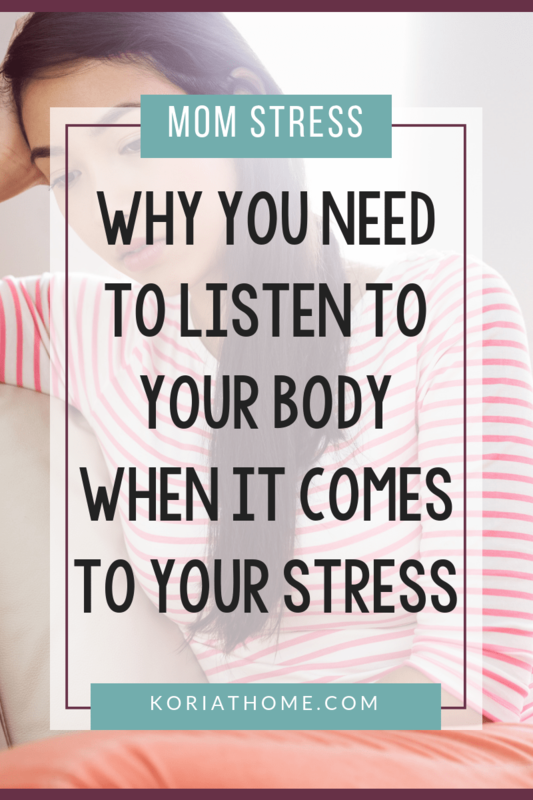 It’s important to listen to your body when it needs a break from work or workouts. Stress takes its toll and by the time you notice the signs from your body that I’m about to share with you, you’re no longer at peak performance. Everything you do will continue to take you longer and longer and you’ll do it with less precision and efficiency than if you were rested. In short, slowing down and taking a break doesn’t waste time. You’ll come back refreshed and able to do much better work in a shorter amount of time. Now let’s look at some of the signals your body may send you to let you know that it’s time to slow down or take a break. These are all signals that you’re getting exhausted. Heed them and get some rest. Depending on the situation either active or passive rest may work. At other times, you’ve just got to admit defeat and go to sleep for a good 12 hours to catch up. When you find yourself getting irritable and snapping at others without much reason, it’s a good sign that you’re too stressed. Mood swings are another powerful sign from your body that it’s time to slow down. We all get a little tired in the afternoon. It’s not uncommon and the reason we all head to the coffee cart or snack machine somewhere from 2pm to 4pm. When it gets worse, you can barely keep your eyes open, or have to lay down for nap to make it through the rest of the day, that’s a pretty good sign that it’s time to slow down and rest more in general. When you find yourself munching on donuts, heading to the snack machine frequently throughout the day and going for snacks at home after you’ve just had dinner it’s a good sign that you’re exhausted. You’re trying to compensate for your fatigue with sugar and salt.